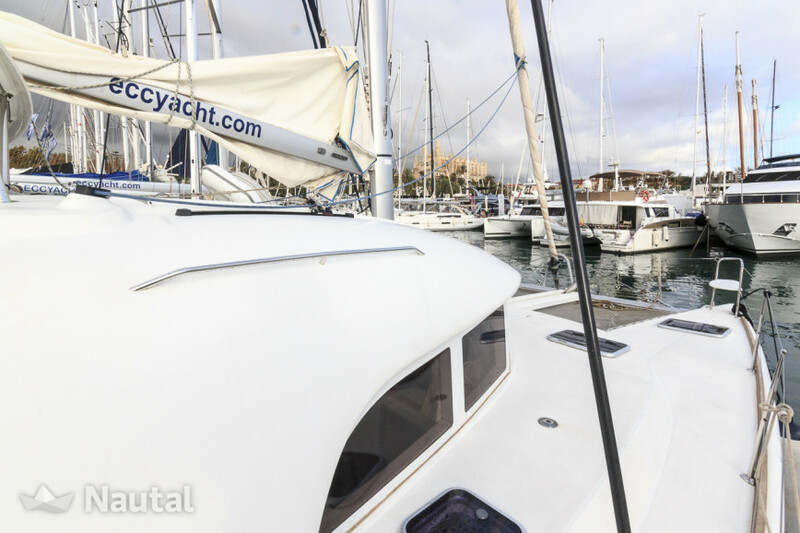 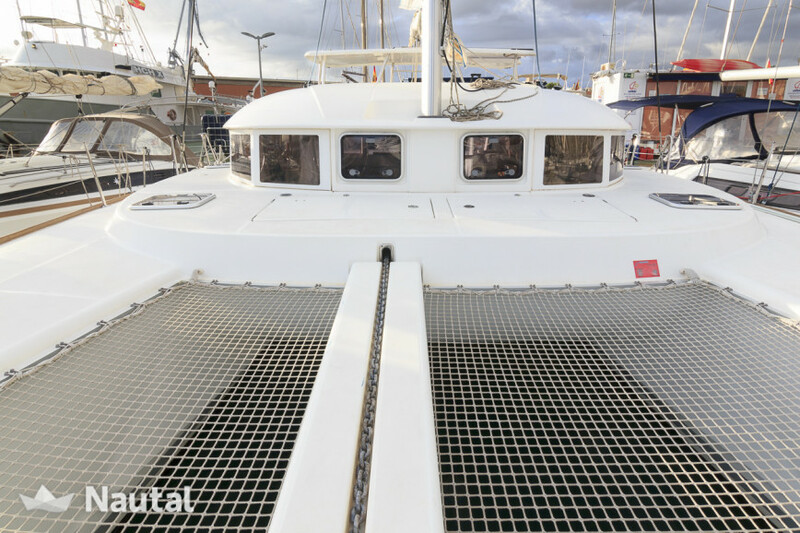 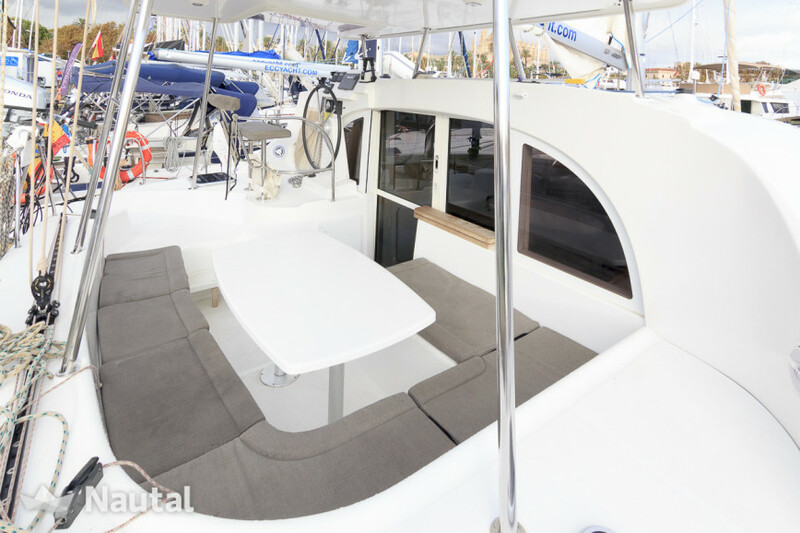 This catamaran built in 2014 is perfect for a few days accompanied by family or friends and enjoy the Mallorcan waters from another perspective. 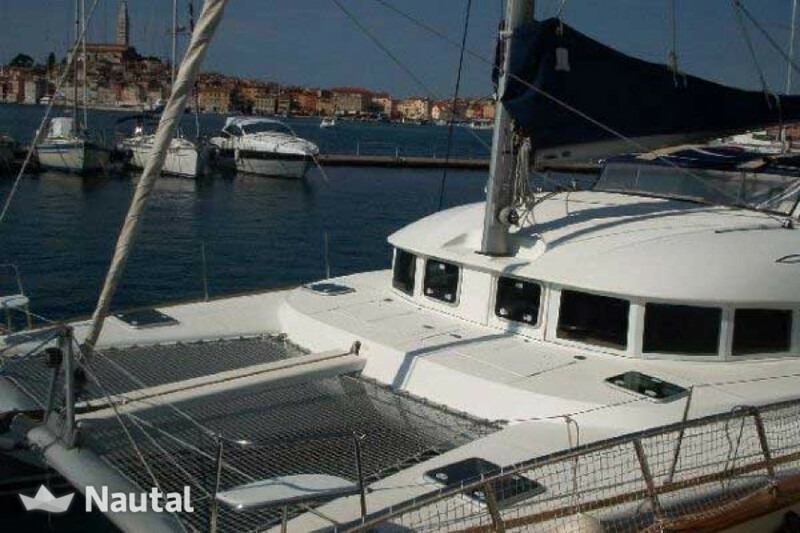 It has a length of 11.55m, a beam of 6.53m. 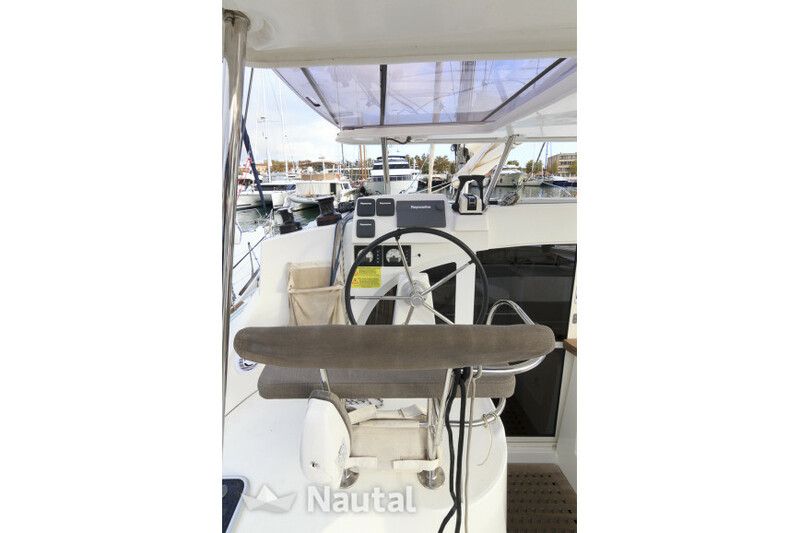 Its dimensions are suitable for easy navigation and light. 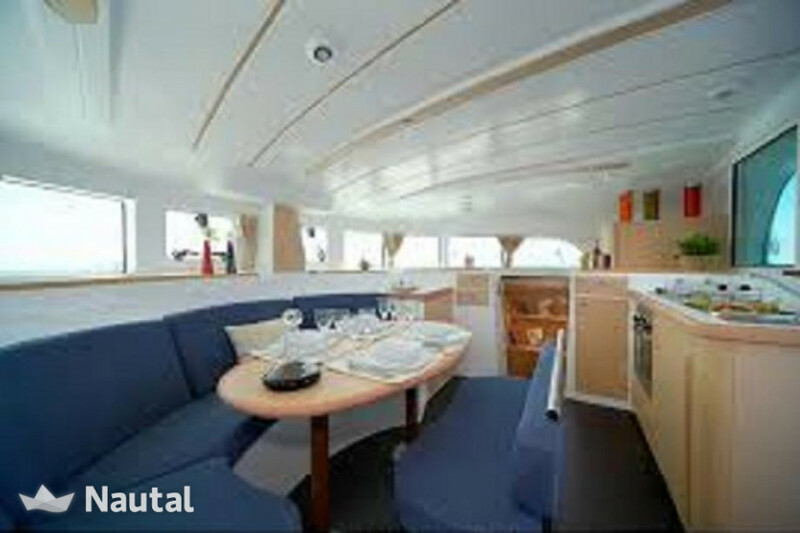 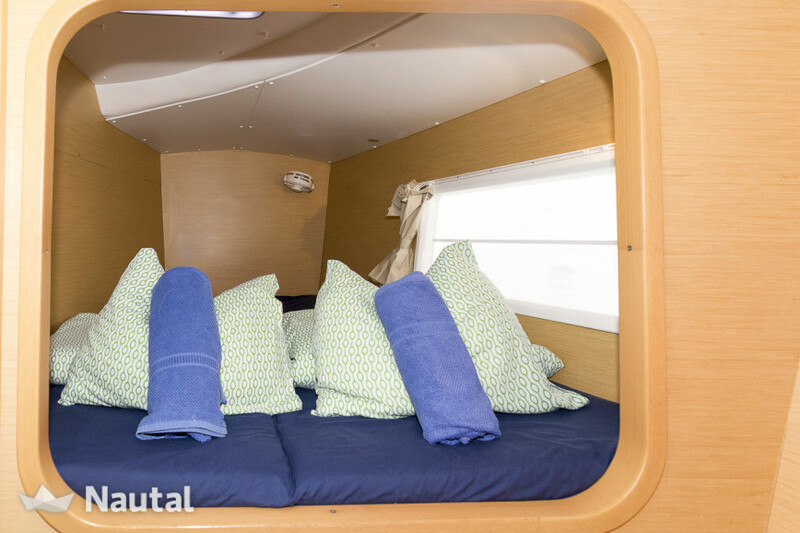 Inside, has 4 cabins, convertible living room and 2 bathrooms for 10 crew make this trip an unforgettable experience. 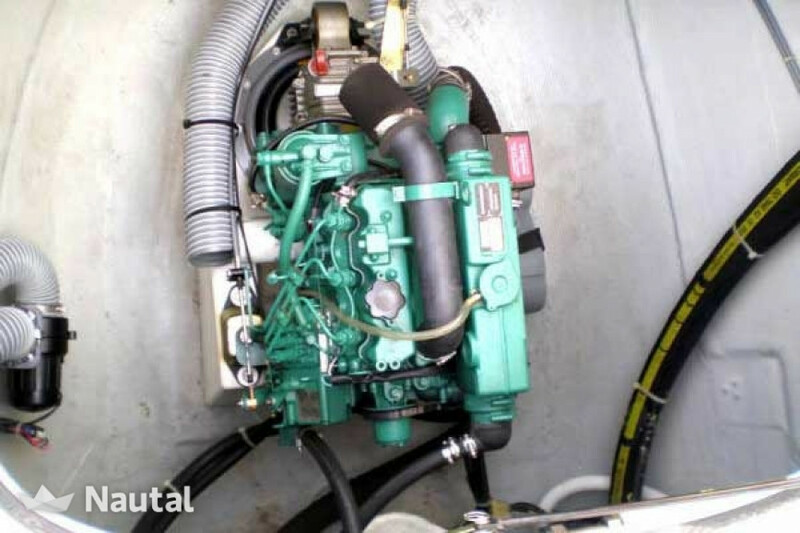 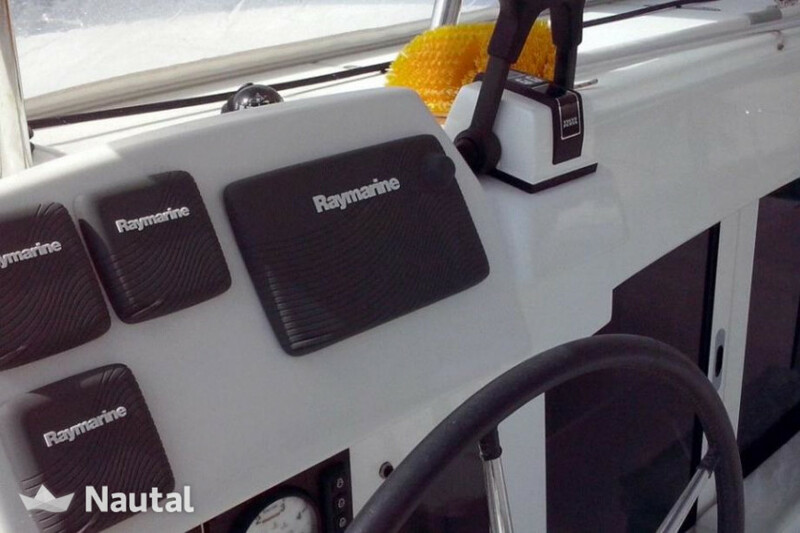 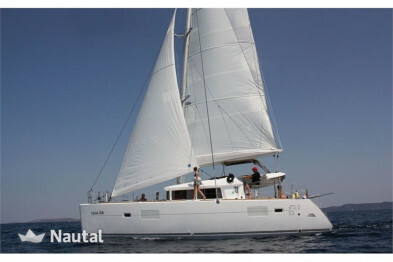 29cv has two engines and a fuel capacity of 200L. 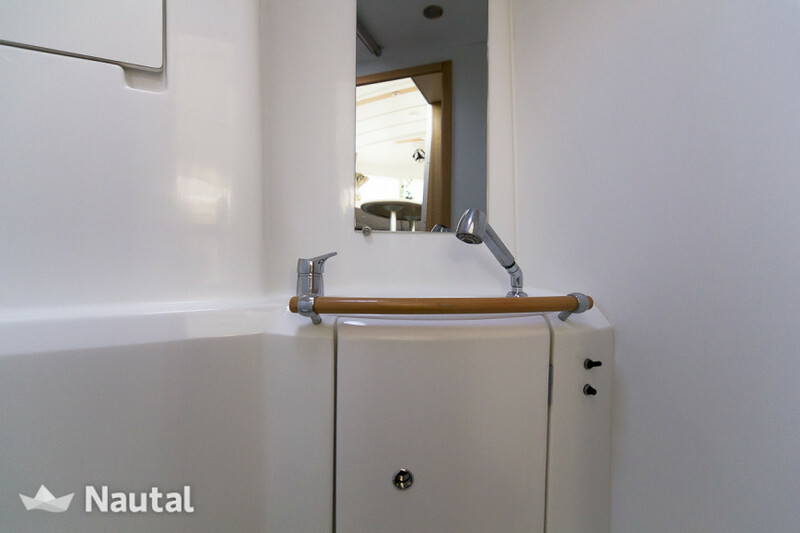 It also has a water tank of 600L. 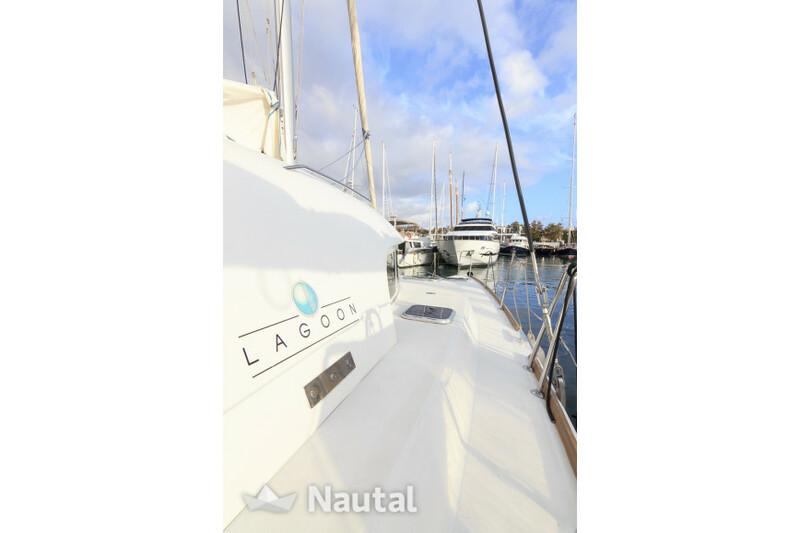 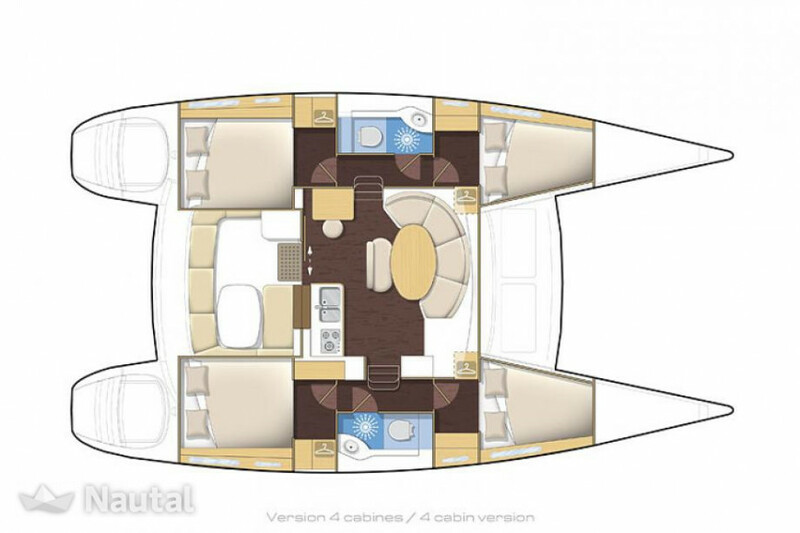 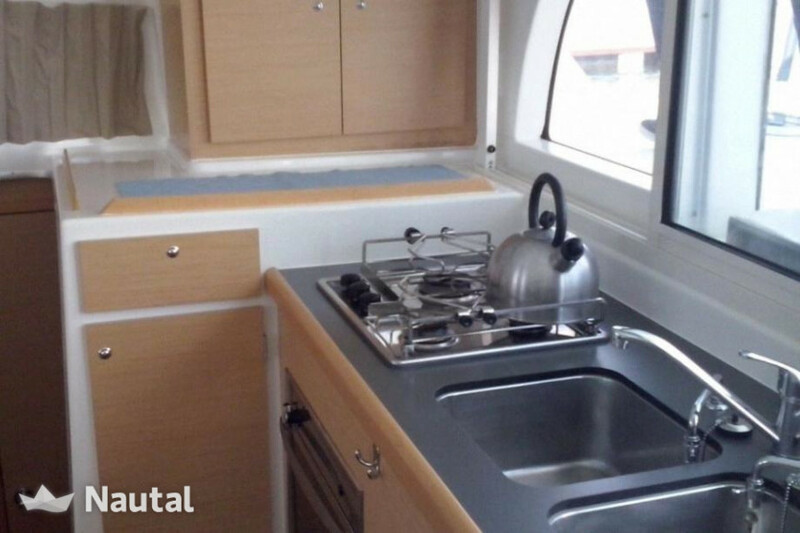 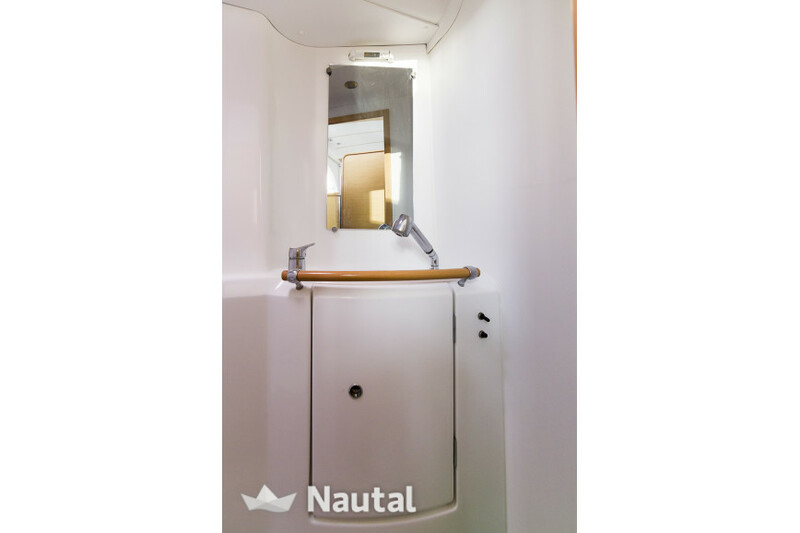 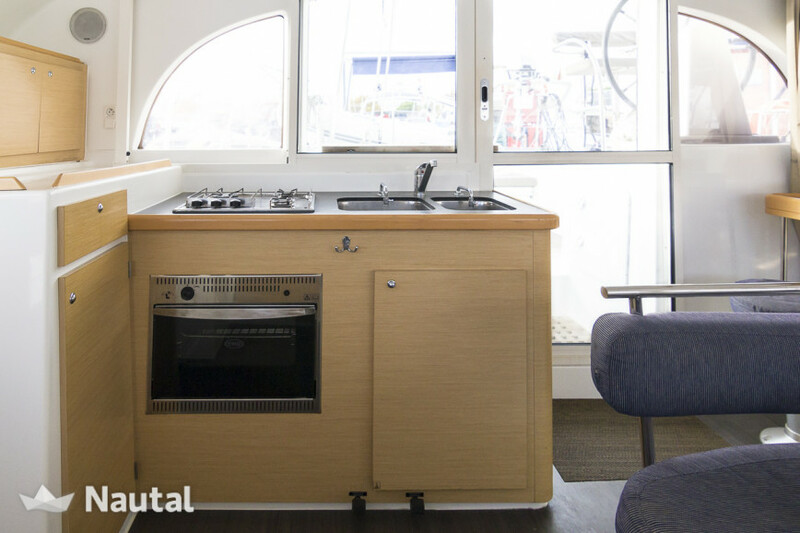 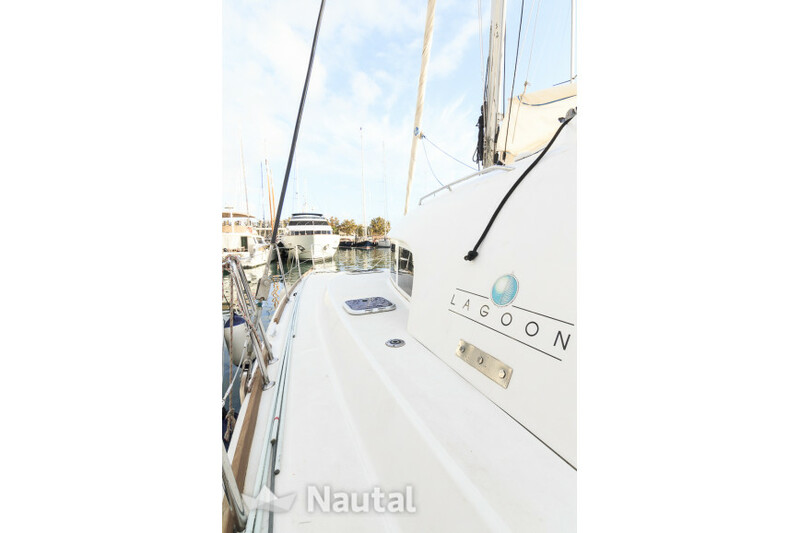 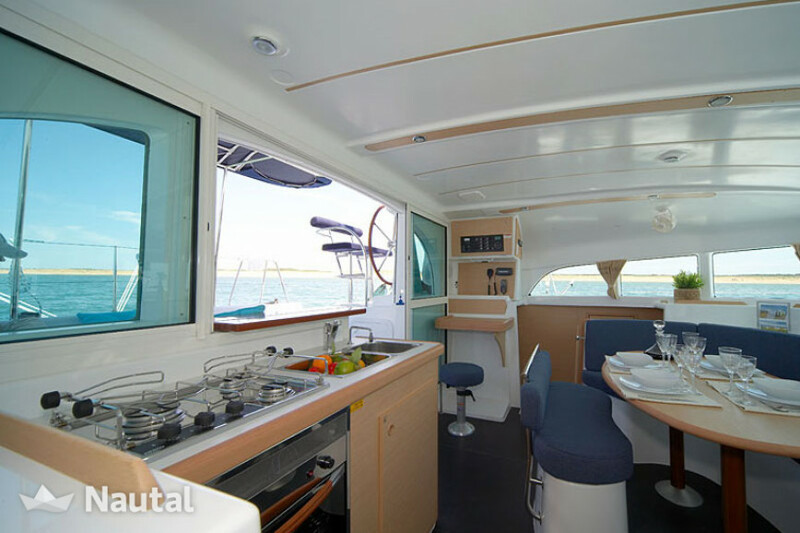 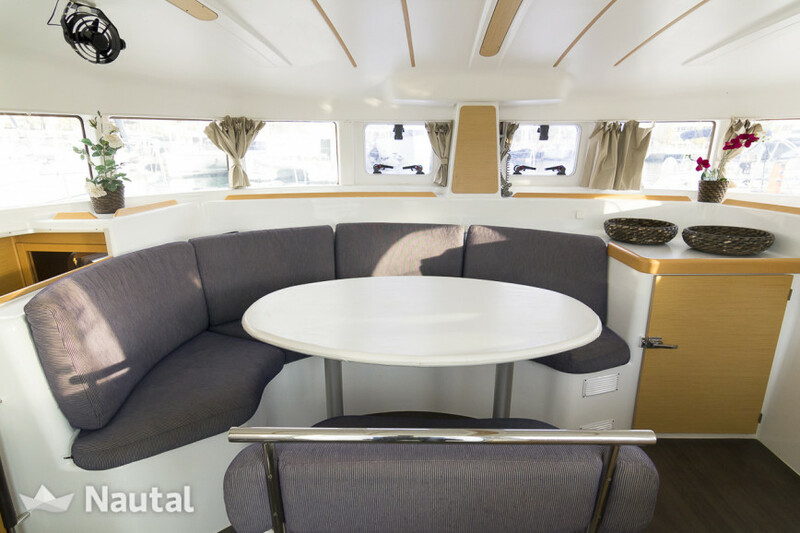 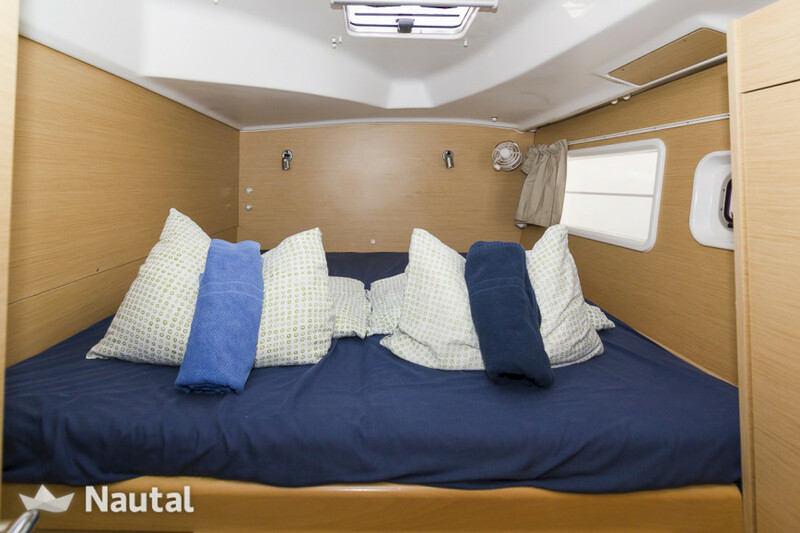 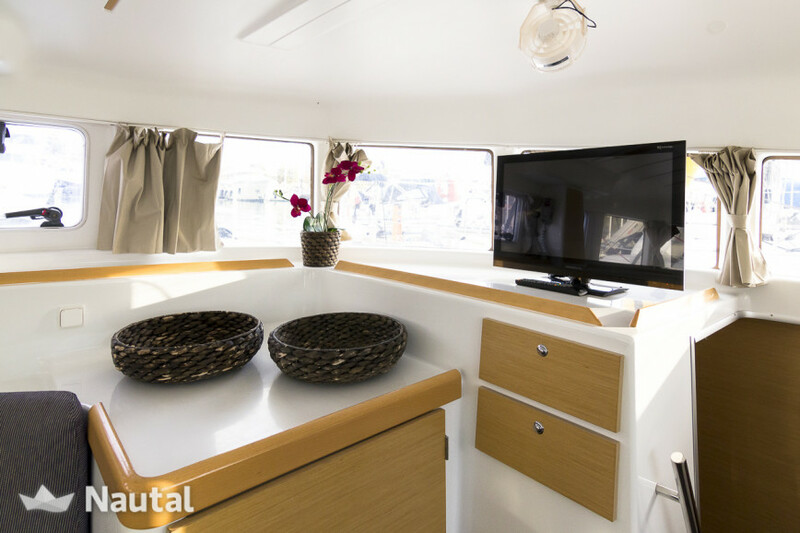 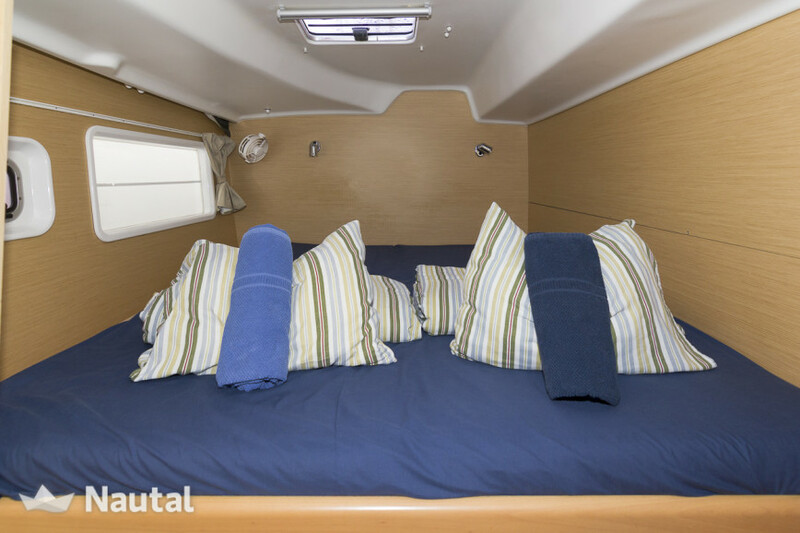 Undoubtedly, this Lagoon 380 is safe for those who are looking for comfort, ample space and roominess while surfing bet. 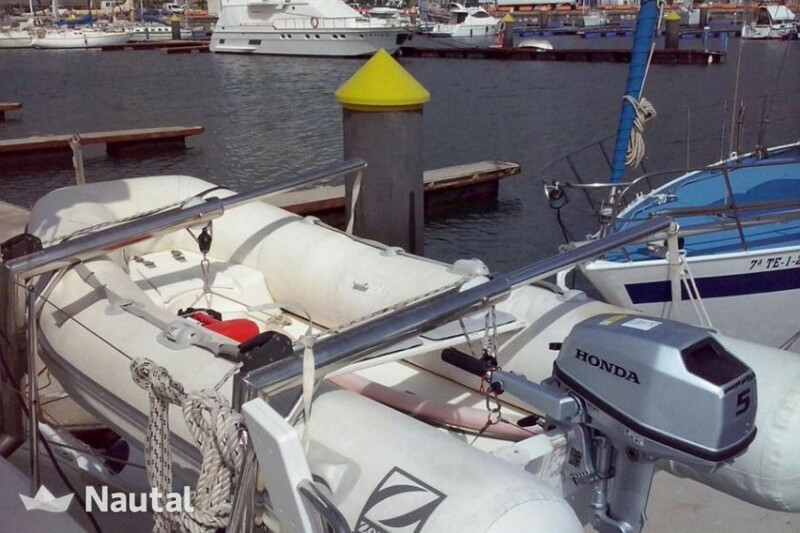 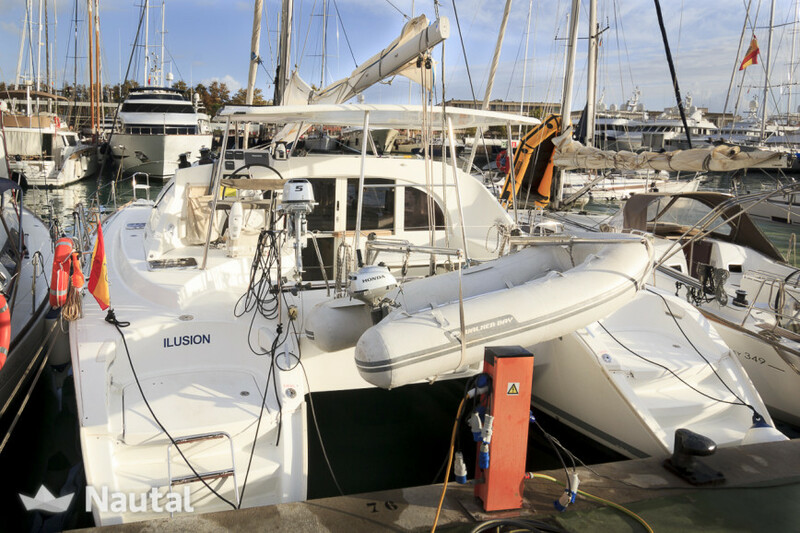 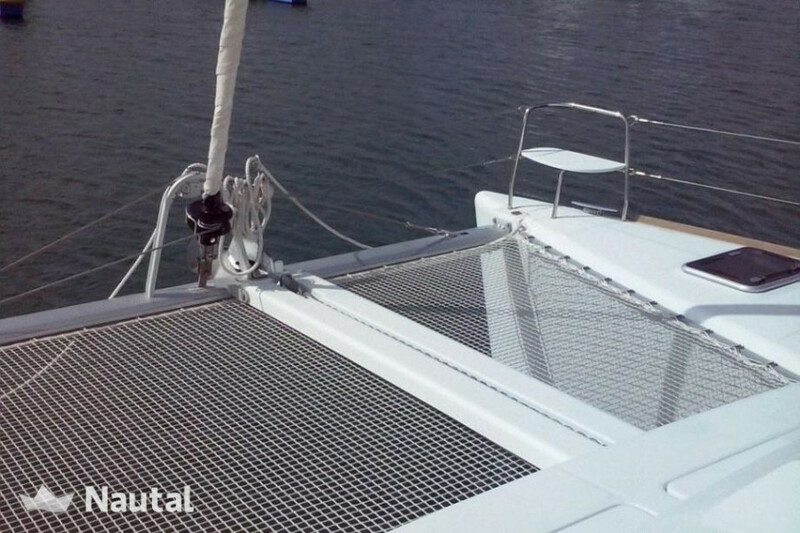 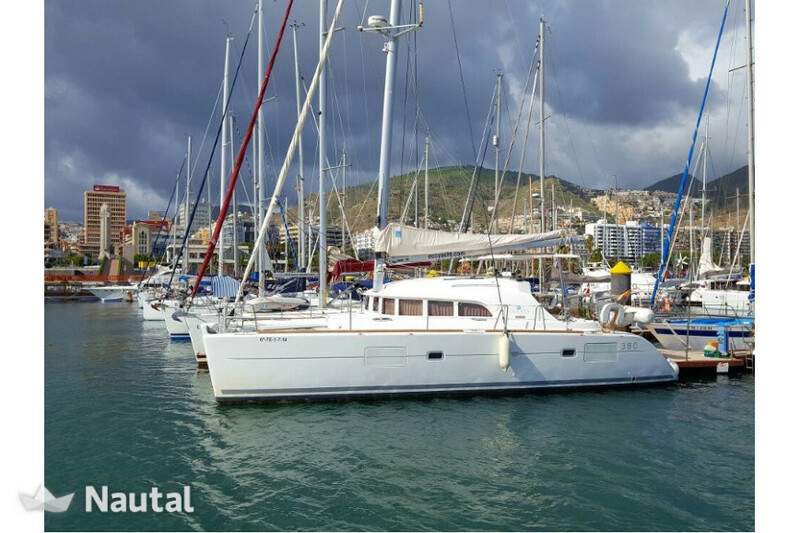 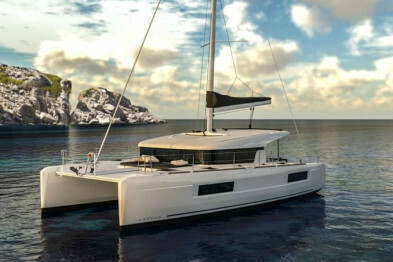 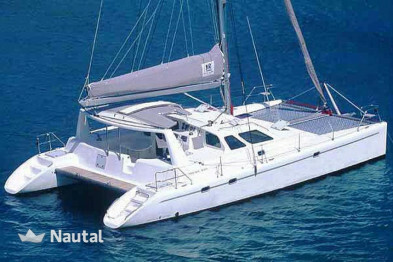 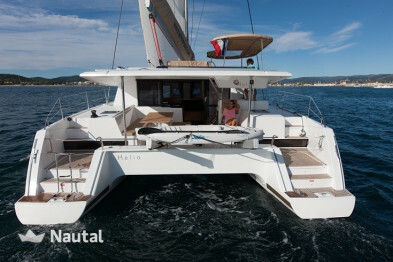 Rent this catamaran and take a dip in the most pristine waters in the Balearics. 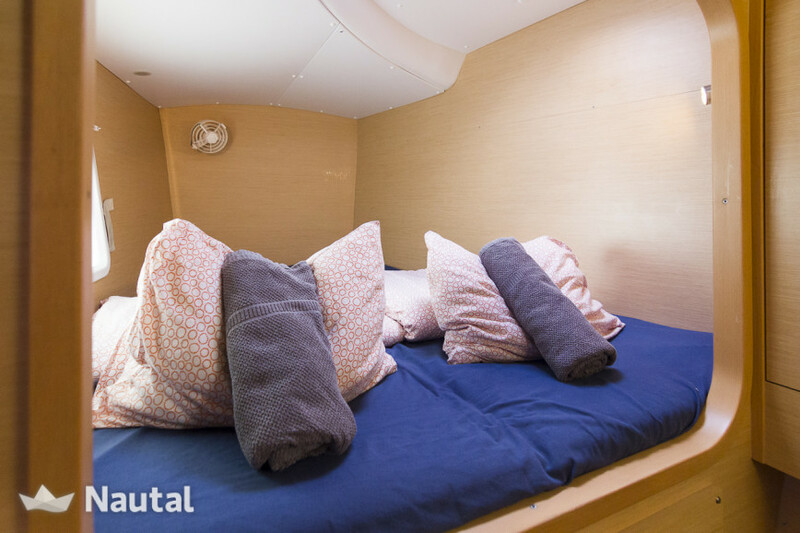 Long term discount 10.00% for bookings From Nov 7, 2018 until Dec 30, 2019 , for all bookings between 14 and 20 days (discounts cannot be combined) . 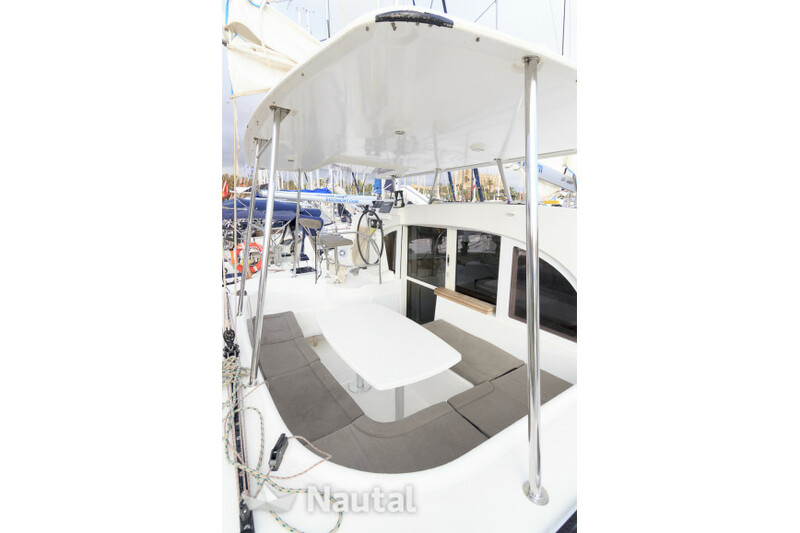 Special discount 5.00% From May 25, 2019 until May 31, 2019 (discounts cannot be combined) . 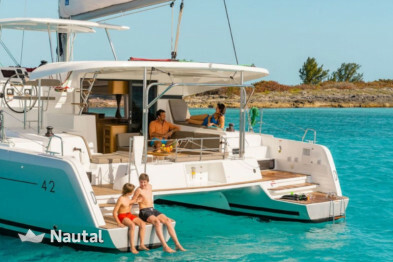 Special discount 5.00% From Aug 24, 2019 until Aug 30, 2019 (discounts cannot be combined) . 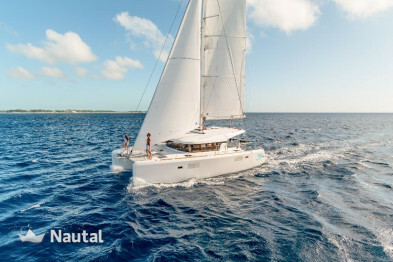 Special discount 15.00% From May 11, 2019 until May 24, 2019 (discounts cannot be combined) . 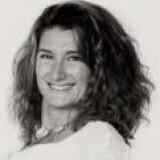 Anything else you would like to tell Patricia?